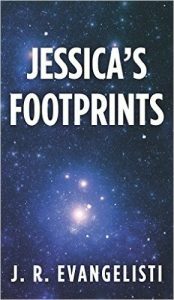 A seventeen year old girl named Jessica involved on an archeological field trip finds footprints left 20,000 years earlier. We fast forward twenty years to find Jessica’s life has changed as government scientists believe extraterrestrials left the footprints. Jessica does not believe the footprints were made by extraterrestrials. It turns out there are powerful forces that want to silence the truth behind Jessica’s discovery. What is the truth?